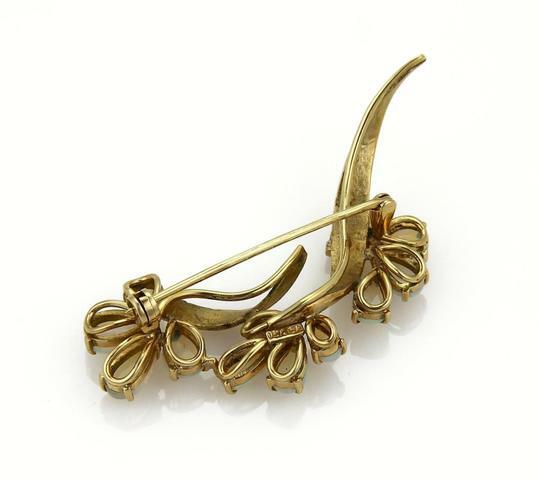 This is a lovely Estate brooch, crafted from 14k yellow gold with a textured finish. 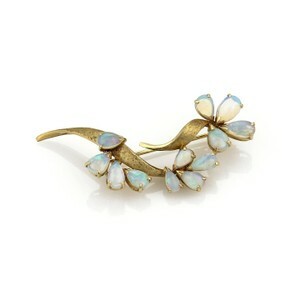 It has a long floral sprig set with pear shape fire opals. The leaves have curved leaves opal flowers. 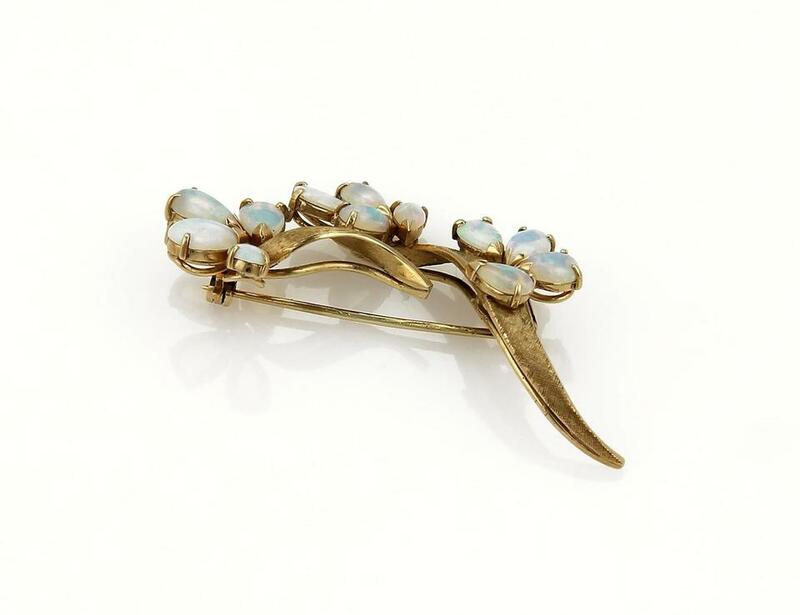 Comes with a long pin and safety clasp. It has the metal content clasp 14k.